Music: Ah! mon beau laboureur, of the sixteenth century, harmonized by G.R.W. 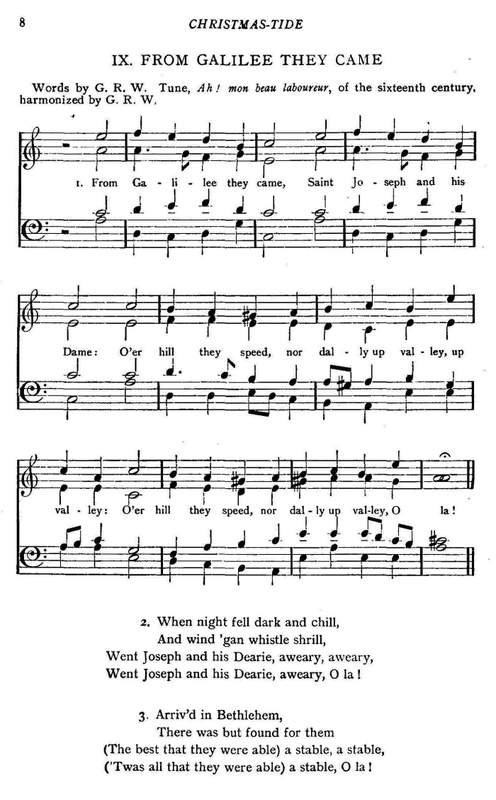 Source: Charles Wood and George Ratcliffe Woodward, The Cambridge Carol-Book, Being Fifty-Two Songs For Christmas, Easter, And Other Seasons (London: Society for Promoting Christian Knowledge, 1924), #9.
nor dally up valley, up valley, O la! a weary, a weary, O la! a stable, a stable, O la!